Slice prosciutto and saut� in pan until crispy. Chiffonade the basil. 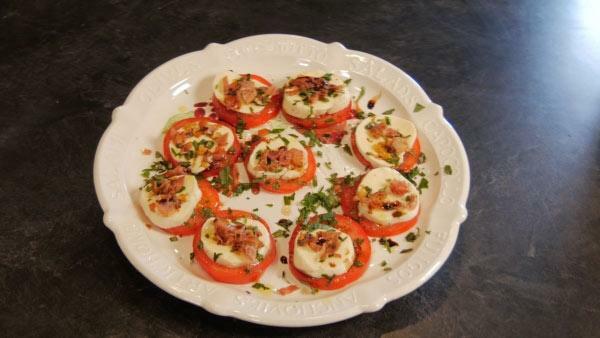 Slice the tomatoes and mozzarella into � inch slices. Lay them on top of each other alternating as you go. Sprinkle with salt and fresh cracked pepper. Then drizzle with olive oil and balsamic. Sprinkle on the basil and crispy prosciutto and serve.